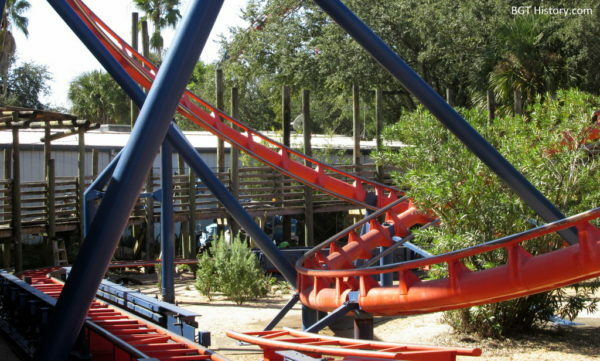 Scorpion is a compact steel roller coaster located in the Pantopia section of the park, and is the oldest operating roller coaster at Busch Gardens. Scorpion is an Anton Schwarzkopf design, and a Silver Arrow (or Silberpfeil, in German) model from the company’s catalog of roller coasters. It’s one of only three of this model ever made, and the only stationary unit produced – the other two in existence are transportable models. The roller coaster was part of the Timbuktu expansion announcement made by the park in early February 1979, when it was billed as “The Scorpion,” a European designed coaster with a full 360 degree loop. 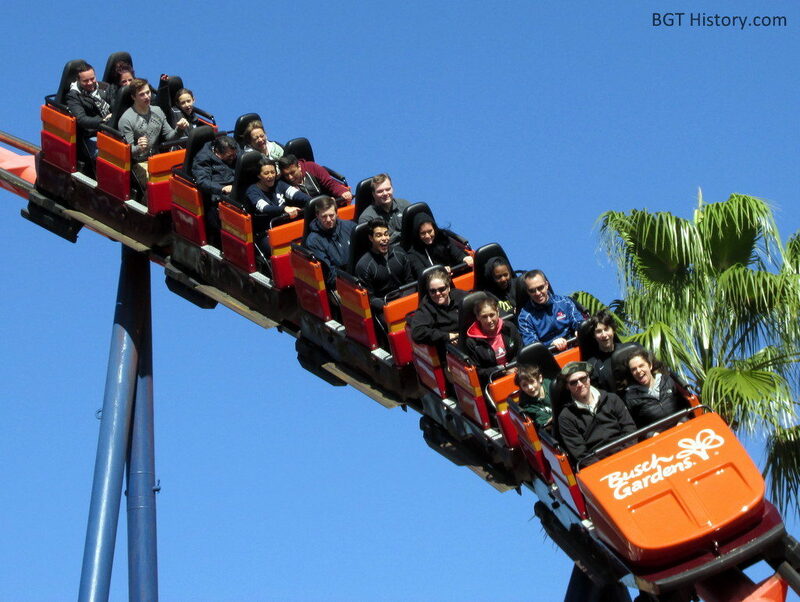 Contemporary reports sometimes listed the manufacturer as Intamin, although that company was only the broker in the United States for Schwarzkopf. It opened in May 1980, several months after the majority of Timbuktu officially debuted to guests, and was the second roller coaster at Busch Gardens Tampa (Python opened four years earlier). It remains the oldest operating roller coaster in the park. 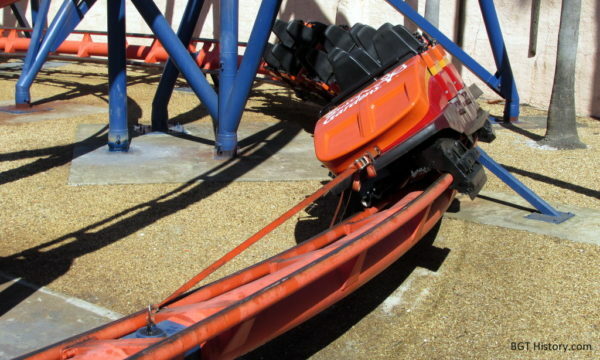 While it has one inversion in the form of a vertical loop, Scorpion only uses a lap bar restraint system, which provides a unique experience since most modern coasters with inversions feature an over the shoulder restraint of some form. Along with the roughly 40 foot tall vertical loop, a tight helix and forces around 3.5 Gs give this relatively small coaster a big kick. On May 2, 2014, heavy rainfall caused flash flooding within the park, forcing the park to remain closed for the day. Scorpion was apparently affected, as it was closed through the weekend as crews cleaned up and made repairs. 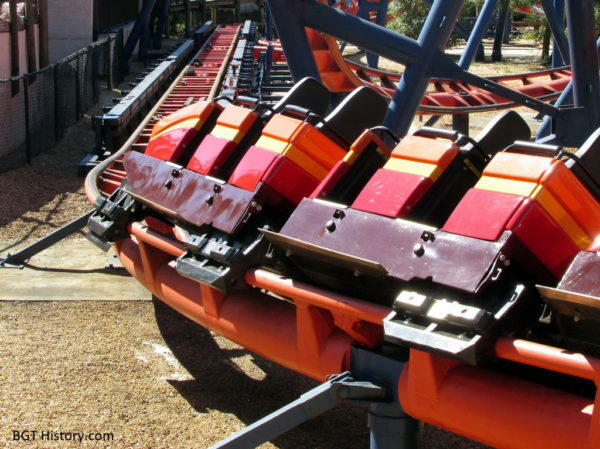 During its annual refurbishment in the Fall of 2014, much of Scorpion’s queue was rebuilt, and work was done along the brake run. 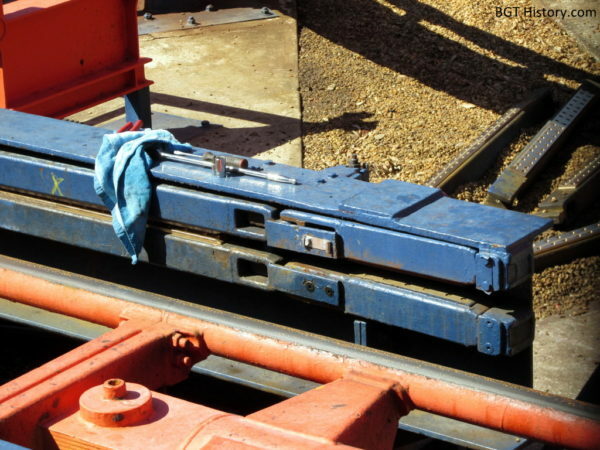 One of the trains was anchored in place along the last turn before the brake run while the work was completed. Images from November 3, 2014. Additional details and images on Scorpion will be added in the future.